They're having a baby girl! And you're tasked with throwing the baby shower. The incredibly cute - makes everyone jealous - baby shower. 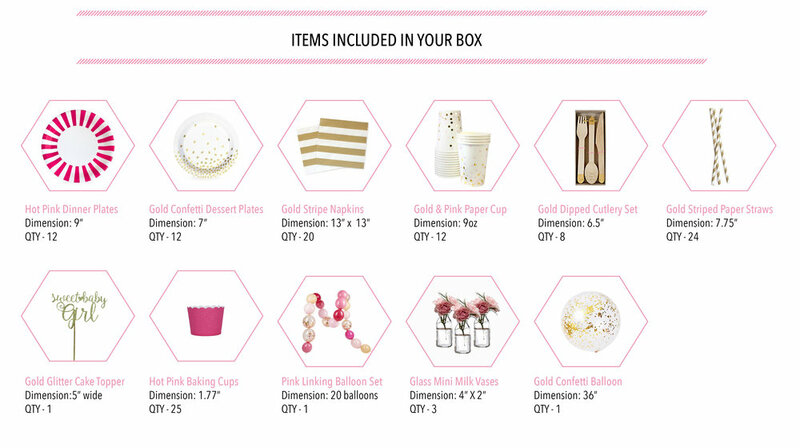 The pop of hot pink and crispness of the white make this a sophisticated yet fun baby shower box! Not only can you have people drooling over your fabulous creative skills but you can also save time and eliminate the pressure with our It's a Girl! Baby Shower Party Box.